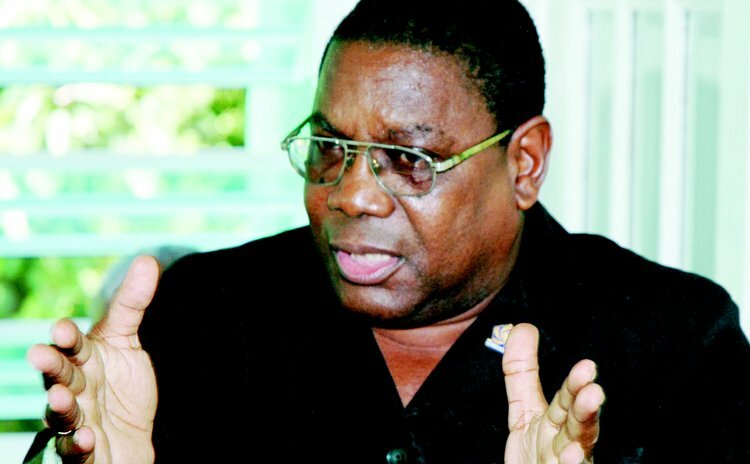 Dominica's first Prime Minister, Patrick Roland John, popularly known as "PJ", the man who took Dominica to political independence in 1978, is now a patient at the Princess Margaret Hospital (PMH). John, 78, complained of feeling unwell while he was at church on Sunday, November, 29th 2015. He subsequently left for home and his wife Deirdre took him to the hospital where he was admitted. In an interview aired on the Q 95's Hot Seat, John said he had stopped taking his medication for some time and this had affected him. He said he was currently undergoing a series of medical test to determine the problem. He did not elaborate. John served as Premier after E.O. LeBlanc resigned; he became Prime Minister when Dominica gained political independence from Britain in 1978. However, PJ's stint as Prime Minister was short-lived; his DLP government was forced out of office following a public uprising and a parliamentary coup in 1979. Dame Mary Eugenia Charles' Dominica Freedom Party (DFP) replaced John's Dominica Labour Party following the 1980 general election. Soon after John was involved in an attempt to overthrow the Eugenia Charles government and he was jailed for 12 years. Later, he became president of the Dominica Football Association (DFA) and was suspended by FIFA over the Mohammed Bin Hammond and Jack Warner scandal. The cause of PJ's illness is unknown; he's in a stable condition at the PMH.